Have a hankering for unique Mississippi Delta hot tamales? Need a fix of some killer BBQ? Then look no further than downtown Clarksdale, MS, birthplace of the blues. Jerry McCray, of Jerry’s Hot Tamales, and Charles Evans, owner of Clark House Residential Inn, have teamed up to open a restaurant in downtown Clarksdale, in the historic Creamboat building. Poor William’s first non-farm job, other than a brief stint buttering bread at the old Shoney’s on State St. where Atzimba now resides, was scooping ice cream in the mid-70’s at the Creamboat on Sunflower Ave. 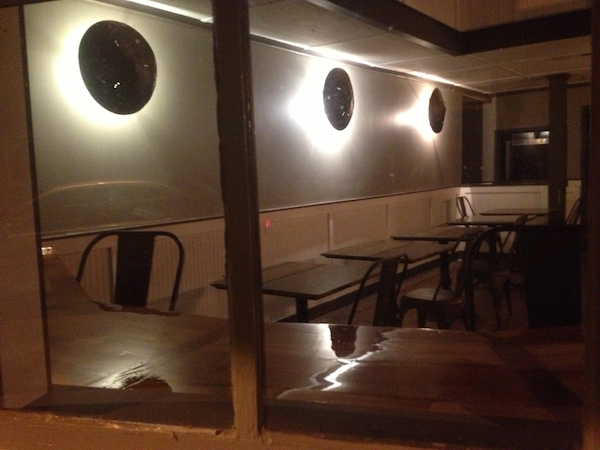 The new Sunflower Avenue venture, currently known as the Dreamboat, will operate in the newly refurbished location. 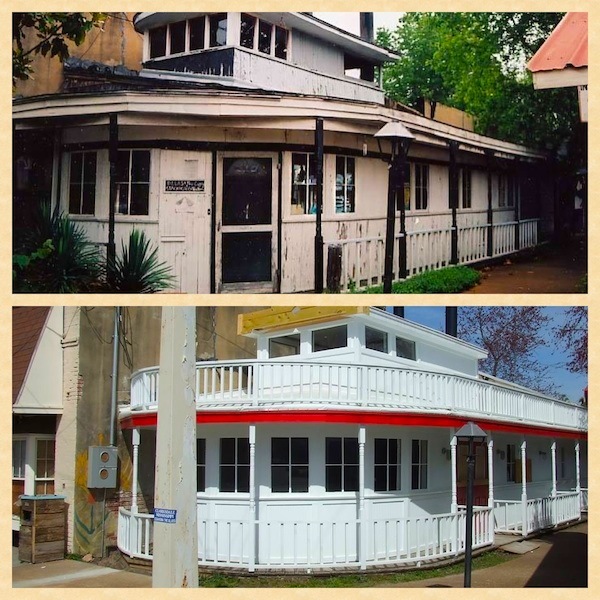 The restaurant, which looks like an old Mississippi River steamboat, will feature time-heralded tamale and BBQ recipes passed down several generations. 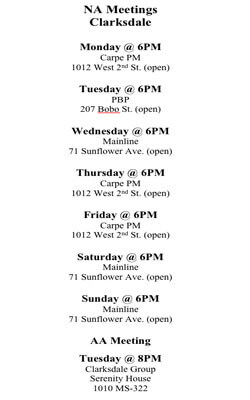 HINT: Jerry may be serving out of the new location NOW — soft opening rumored! Now local interior designer MS Design Maven, Marilyn Trainor Storey, contributed her design expertise to Evans in transforming the historical local building into a casual upscale restaurant. 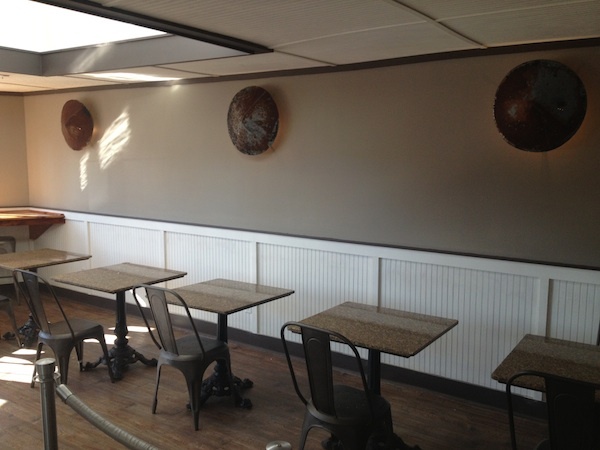 Storey collaborated with local artist Randall Andrews of Delta Debris on custom lighting and wall art. Jerry’s tamales are a product of a recipe dating back to at least the early 1950’s. 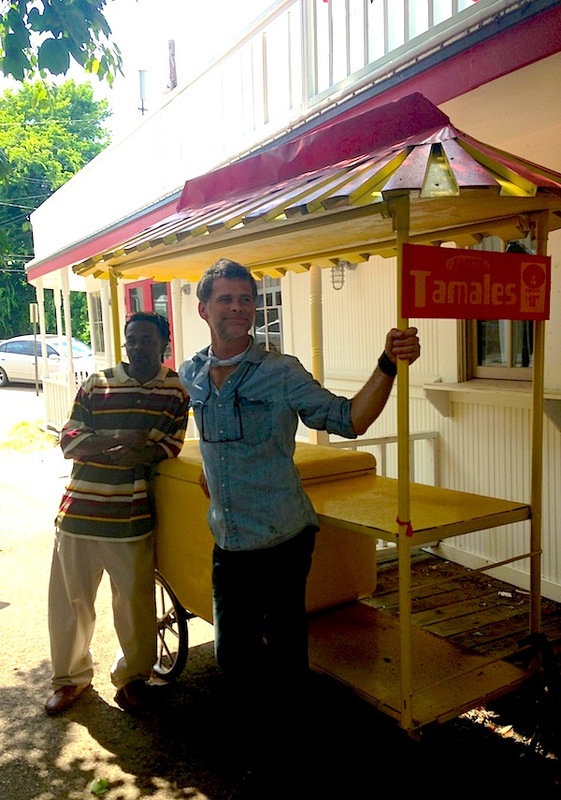 A Mr. Ware would peddle his fresh hot tamales on his three-wheel cart all over Clarksdale. By the 70’s, the recipe was in the possession of Mrs. Christine Coburn, who sold the tamales at the Super Q Barbeque, Jerry’s father’s restaurant located at the historic Crossroads of Highways 49 & 61. When the demand for Mrs. Coburn’s delicious tamales became more than she could handle, Jerry Sr. bought the time-tested recipe and continued to sell the tamales along with BBQ at his 61 Hwy restaurant. 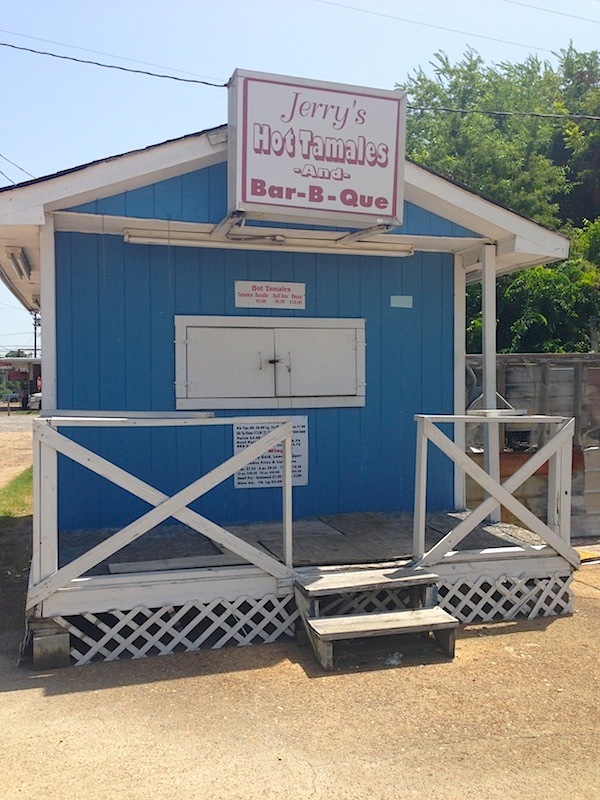 Jerry Jr., who left Clarksdale to attend school and serve in the military, has proudly kept producing and selling his tasty tamales along with BBQ ribs, tips, and sandwiches from his stand located at the corner of Hwy 61 and Grant St. 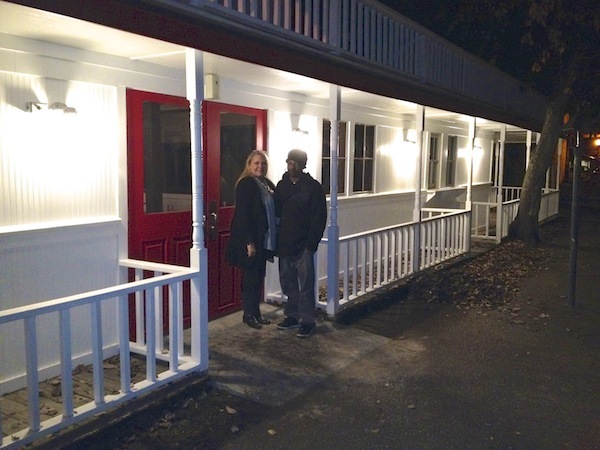 The Dreamboat will feature all of Jerry’s scrumptious recipes, but with the added option of dining inside and eventually on an outdoor patio. 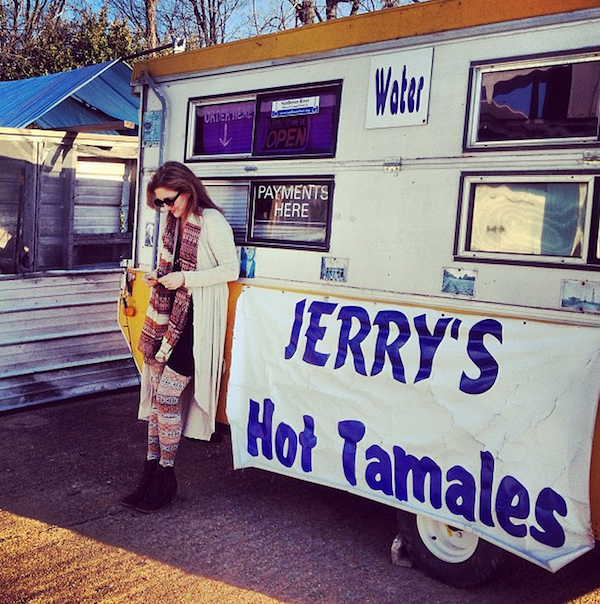 Jerry also sells his tamales and Delta-style chili on both sides of Vaught-Hemingway stadium during Ole Miss football games in Oxford, Mississippi. Native Deltans, fellow Mississippians, blues travelers, or visitors to Ole Miss Rebel home games cannot go wrong buying a bundle or two of Jerry’s renowned tamales, BBQ, or a cup of his home-style chili. CLICK HERE to read more about Jerry’s Ole Miss HOTTY TODDY TAMALES. Jerry McCray and Randall Andrews stand outside Jerry’s new Dreamboat restaurant in Clarksdale. Maven Marilyn Trainor Storey and Jerry McCray by his newly renovated Dreamboat in Clarksdale. Artist Randall Andrews and Marilyn Trainor Storey collaborated on custom lighting for Jerry’s Dreamboat. 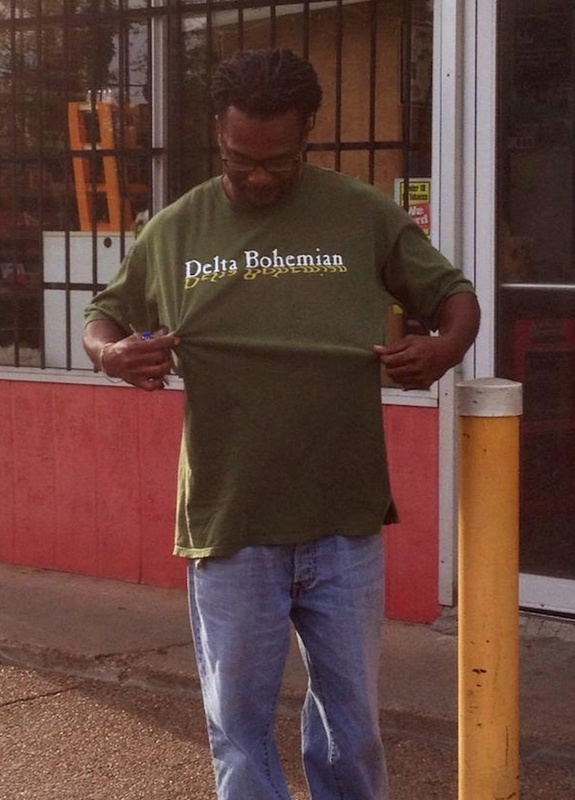 Jerry McCray, owner of Jerry’s Dreamboat BBQ, shown sporting a Delta Bohemian T-Shirt in front of Corner Grocery in Clarksdale. Magical Madge waiting on a scrumptious order of Jerry’s Hot Tamales at his prior location in Clarksdale. 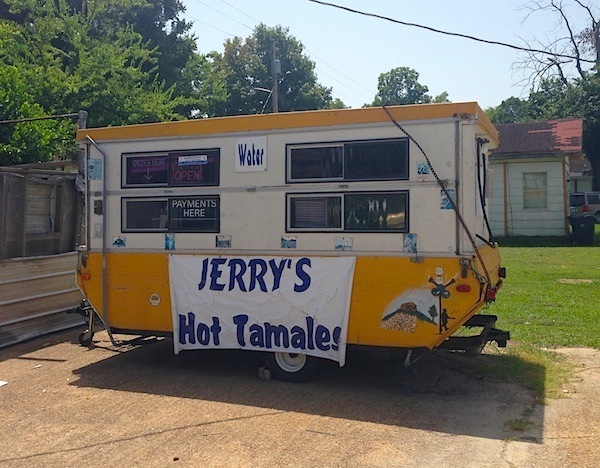 Jerry’s former Hot Tamale Trailer on State Street in Clarksdale. 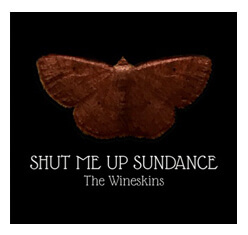 Now located on Sunflower at Dreamboat. Jerry’s former Hot Tamale Shack on State Street in Clarksdale. Now located on Sunflower at Dreamboat. We highly encourage comments and sharing to your social media of choice. Thanks! OMG! The ribs were the best I have EVER~NEVER had!!! COME ONE; COME ALL TO JERRY’S DREAMBOAT and HOT TAMALES IN CLARKSDALE MISSISSIPPI FOR SOME INCREDIBLE (AFFORDABLE) FOOD!!! So glad you followed your nose and found your way to Jerry’s Dreamboat Q! We are also grateful you took the time to leave this wonderful comment. Jerry will be delighted! We hope y’all come back to Clarksdale soon! 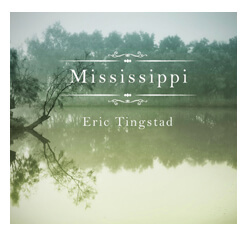 Thanks for coming to our town and the Mississippi Delta! PS. My daughter was born at Piedmont. Great memories of the Big A!